Classical Guitar is one of the best foundations a Guitarist can have. We prepare pupils for Trinity College London exams. Classical Guitarist's develop a strong foundation in reading music and rarely use tablature. The pieces tend to be much more contrapuntal in nature and stand alone as complete pieces without the need for any accompaniment (although duets and ensemble pieces are also common). This makes playing the Classical Guitar a very intimate experience and can be quite meditative for the player once the pieces are learnt. If you shy away from grades, or simply want more variety, this path is open to Classical Guitarists too. 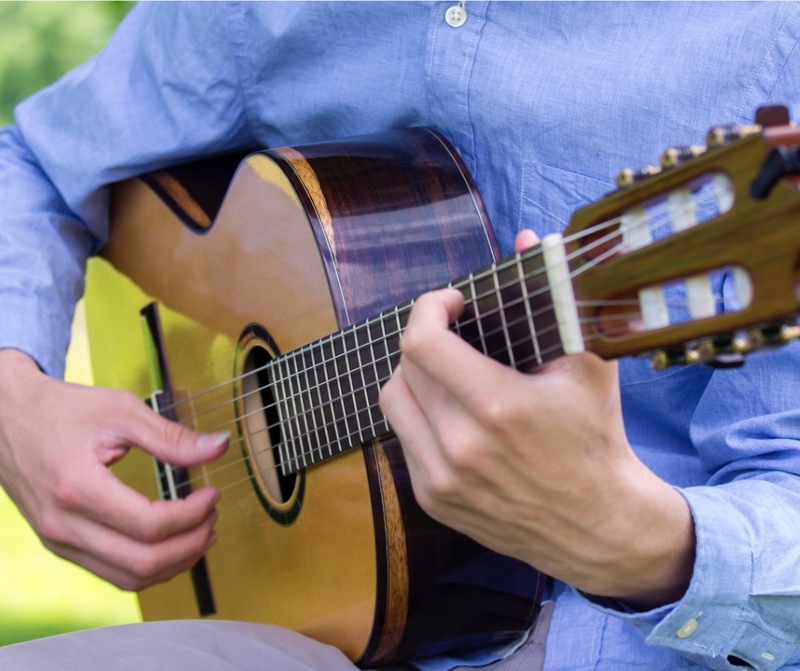 The right hand technique is something very specific to classical guitar and lends itself to a wide repertoire of notated pieces for unaccompanied Guitar. Classical Guitar is is based entirely on fingerpicking rather than using a pick or plectrum and the strings are nylon rather than steel as this is more conducive to the technique. Classical Guitar is a great arena for developing solid foundations in technique and musicianship. It can be a great choice for the more introspective musician since the music tends to be much more choreographed than rock pop or Jazz. The Classical technique is almost entirely transferable to Bass Guitar too. A background in Classical guitar can open up a whole new dimension to Guitarists who like to explore other genres.